Four Filipino dance groups brought pride to the Philippines after bagging medals during the recently concluded Hip Hop International (HHI) World finals which took place in Phoenix, Arizona from August 3-11. 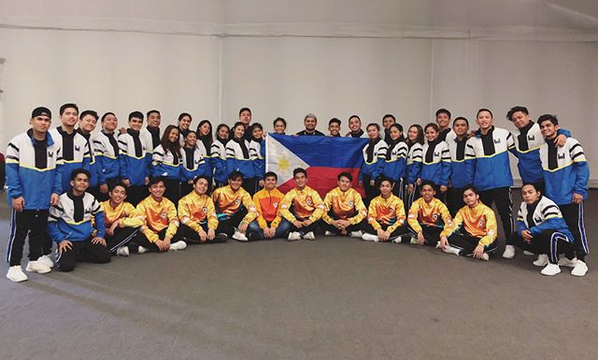 Nine different dance groups flew to the United States to represent the Philippines in the said international competition, and four teams were able to secure a top spot and win medals in different divisions of the competition. According to an Instagram post by Hip Hop International Philippines, the four groups that won in the competition are Kingsmen, Fusion, Kindred, and The Peepz UPeepz. Kingsmen won the silver medal for the Varsity Category. They were beaten by Japanese dance group Kana-boon! who won the gold medal, while Masque from New Zealand won the bronze medal. For the MegaCrew Division, Fusion and Kindred took home the silver and bronze medals, respectively. The Jukebox, a dance group from Mexico, won the first place in the said category. Lastly, The Peepz UPeepz won the bronze medal for the Adult Division. Da’ Republik from the Dominican Republic got silver, while Argentine dance group Cbaction bagged the gold. According to Inquirer.net, at least 150 dancers represented the Philippines, and about 4,000 dancers from around the world participated in the said competition.